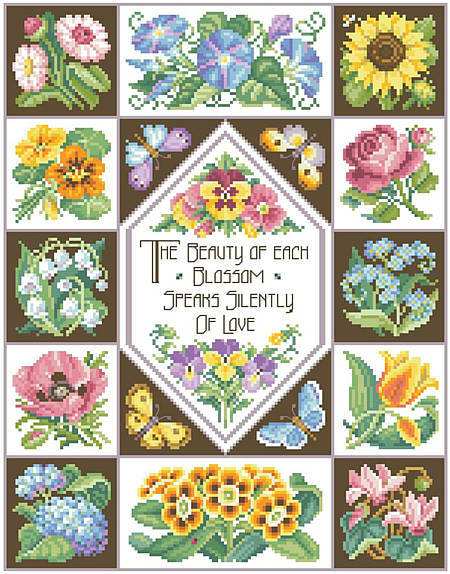 Stitch a garden of lovely blossoms with this springtime sampler. 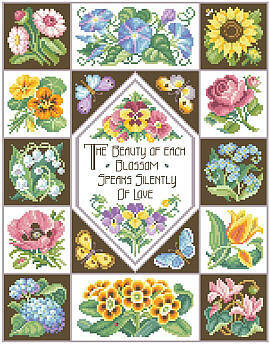 This array of flowers looks great as a sampler or as separate small motifs to celebrate Nature. Designer Nancy Rossi captured each flower so well and beautifully. A keepsake any gardener or fan of flowers will love! Contents: Stitch Count 149w X 191h, finished size on 14-ct fabric 10-5/8" X 13-5/8"